We've had a bunch of requests from Angels for a still English wine... so we had a chat to Sam and the team at Bolney, and we've bagged a small parcel of her delicious Bacchus 2017. 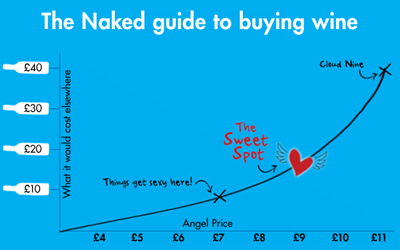 It's not your typical Naked tipple... it’s not Angel funded, and it’s available elsewhere. But once we'd tasted it, we thought you'd appreciate us getting some in for you to taste. You’ll have to get your skates on though, there are only a handful bottles available. Often referred to as 'England’s Sauvignon Blanc', Sam’s hand-picked Bacchus is a fragrant wine with aromas of ripe green apple and gooseberry, blending perfectly with vibrant, fresh fruit flavours and a hint of spice on the finish.